The ears have it | Go. Do. Be Dog. 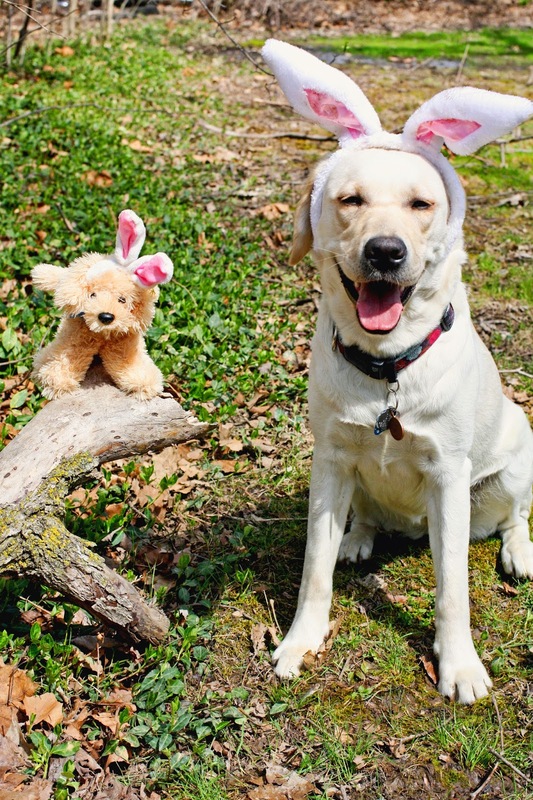 From the archives at Raising a Super Dog, we bring you the adventures from last year’s Easter’s bunny ear photo shoot, featuring Miss Euka and the mighty Micron. I hope you enjoy reading this again as much as I did. Good times, y’all. 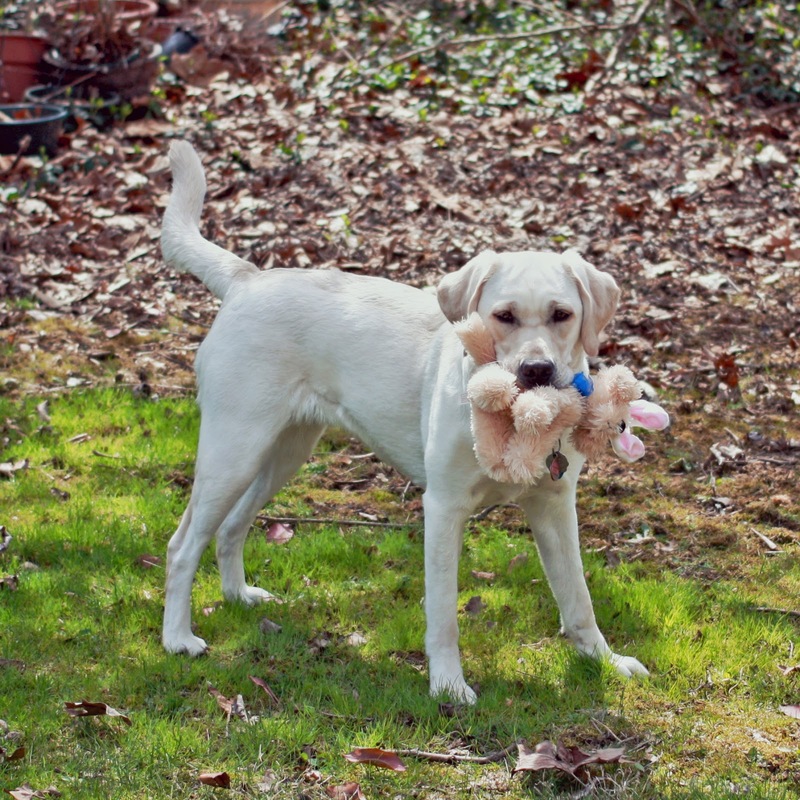 Look at what, Puppy Piddler? asks Micron, annoyed. He doesn’t look up from chewing a stick. It’s a good stick. Fresh from the mulch pile. ‘Member the time you smashburgered me into the ground? says Euka. You know. That one time, says Euka. When Food Lady was gonna take me to the grocery so I could work on my fan base? And then she said I couldn’t go because you made me all muddy? Why? asks Euka. Why? Because this is YOU! And I’m gonna smear YOU into the ground for once! What’s that now? Finding myself amind yet another round of sibling smack talk, I admit to blocking most of this out. It’s all grr-grr this and rowl-rowl that most of the time, anyway. But the mention of somebody getting pounded gets my notice. Euka, I say. What are you … No! Drop! That’s for the photos! See it? She has the mini Micron in her maw. And we’ve seen that look in her eye before. Nothing good is going to happen next, we know that, right? 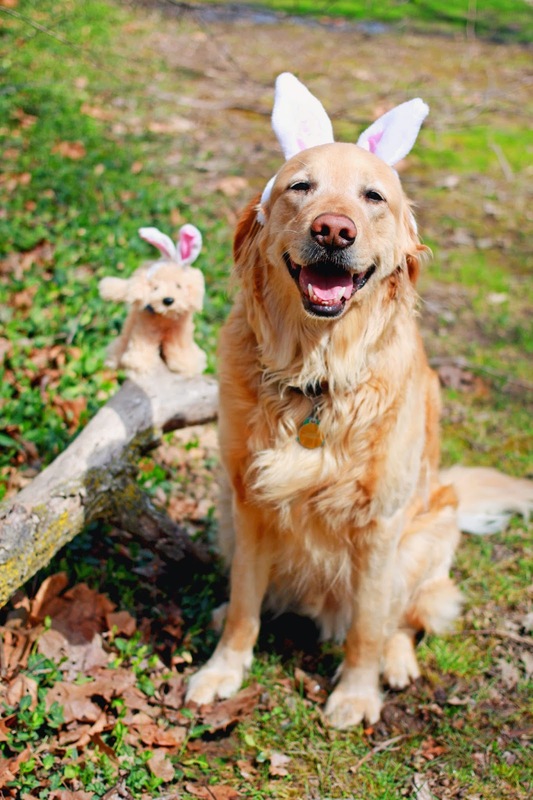 Oh just another day trying to take photos of the dogs with bunny ears. In the spirit of the season, it’s as natural as dying eggs and eating Peeps. What’s that you say? 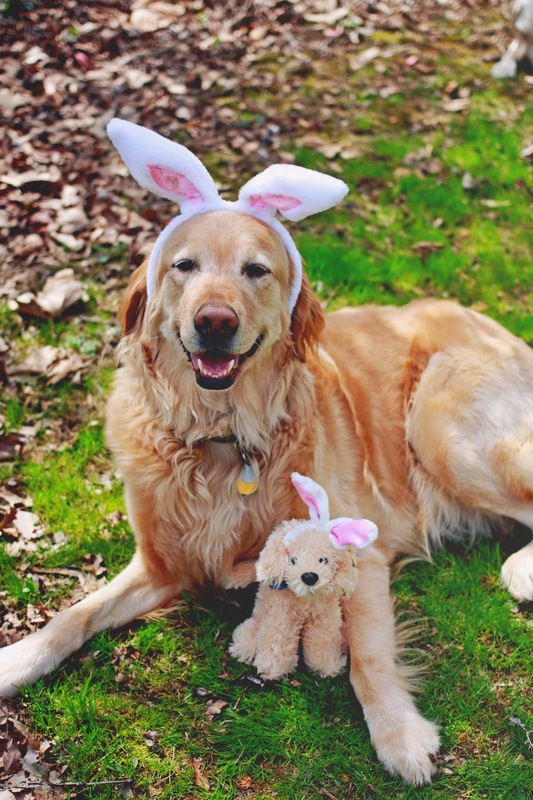 You don’t put bunny ears on your dog? Well, I don’t eat Peeps, so there’s that. I walked into this exercise fully expectant of the usual strong words and minor mayhem. That’s part of the annual tradition, after all. 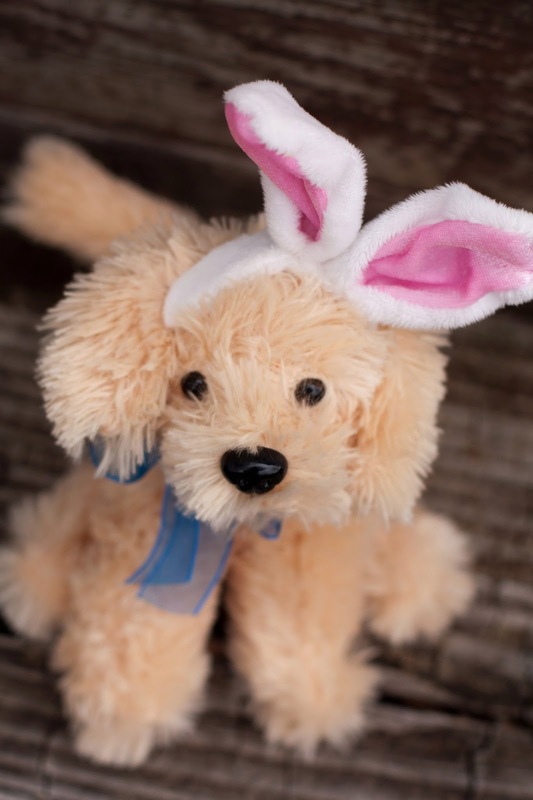 I retrieve the stuffed dog from Euka with a more that was really necessary amount of fuss and position it carefully for the photo setup. Then I call Euka back and retrieve it from her a second time. A quick attempt at brushing off the leaves and twigs before lowering my standards and we get some nice images of Micron with his wee doppleganger. Only about twelve frames this time to get a couple with his eyes open. Not bad. Let’s pause here a moment, shall we? Take a moment to enjoy the warmth of Micron’s easy going and open smile. This is a dog that knows how to make the most of any moment in life. 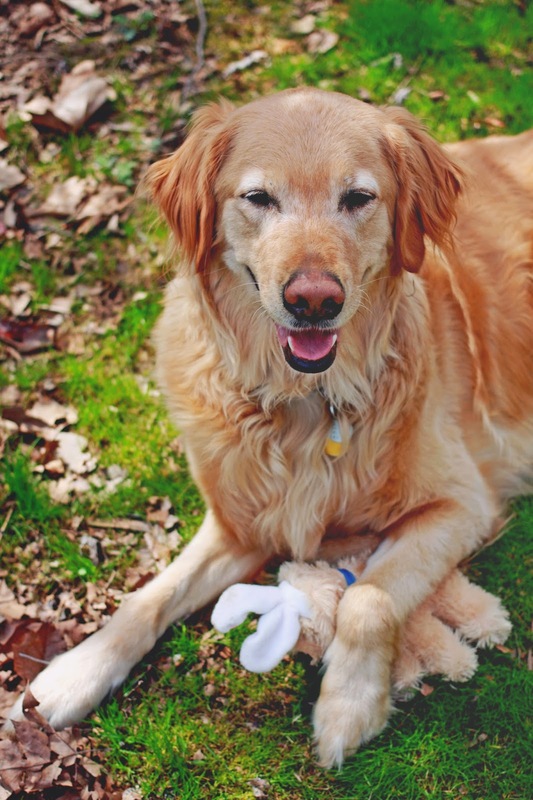 Every day is a golden day for this big guy. It’s all good, says Micron. Next up – the polar bear princess. You can almost smell the wood burning, hear the cogs clicking. This chick’s noggin is thinking about something. Oh sure, she’ll keep that Stay because that’s her training. It’s a matter of being smarter than the puppy. Because I’m sure as heck not faster. I’ll need to grab that treasured little mini-Micron before the Release command is given. But not just for me and because I’d like to have the thing around for another Easter. It seems the big fellow is feeling a little protective of his body double. 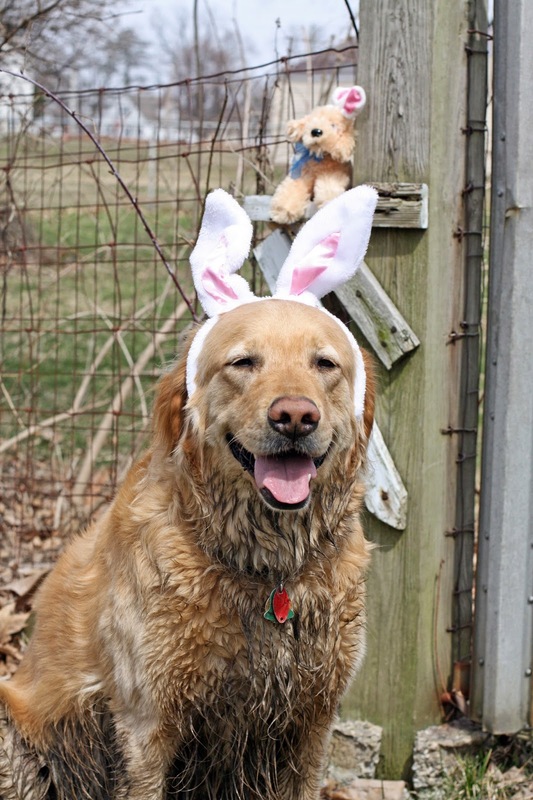 This year’s bunny ear shoot did indeed go smoother than last year’s, we’re all happy here to report. Last spring, our Euka Bunny was not the mature girl she is today. 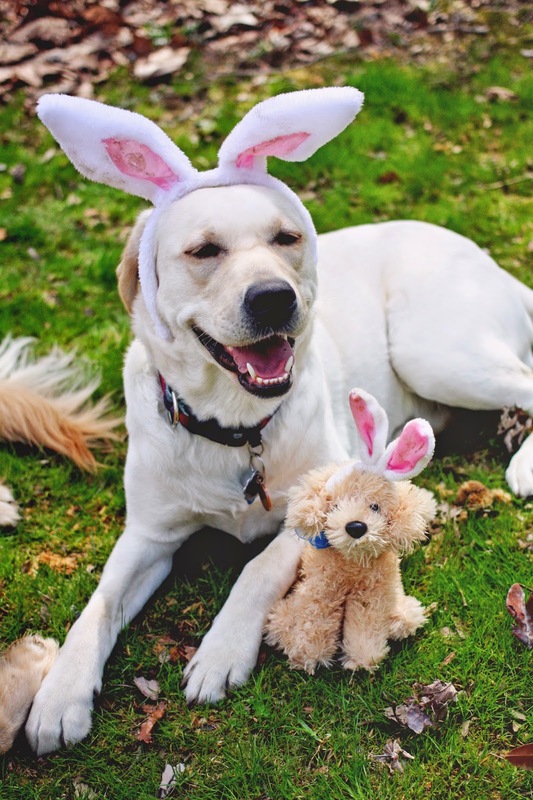 Photos, and a tidy explanation of why Easter Sunday is so hard to schedule, is at It’s the Euka Bunny. And Micron goes passive aggressive, as only he can, in his rejection of wearing bunny ears in That ain’t chocolate. Posted in Dogs and tagged Euka, Micron. Bookmark the permalink. Micron is usually tolerant, at best.The sooner this business is done, the sooner he gets the dog cookie.